Hearing damage is one of most afraid problem in our system and can also develop later in life. Hearing loss or commonly known as Noise-Induced Hearing Loss is the loss of hearing sense.. 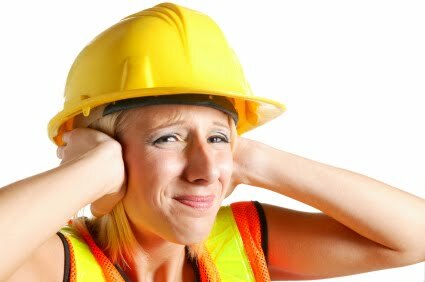 In our environment there are many noises that affect our hearing. It will cause damage if the sounds are too loud for long time. It can occur if there are continuous noise exposures or immediately after contact with an exceptionally loud and acute sound. The inner ear can be damage especially at small sensory cells that convert sound into electric signal. The hair cells in the inner ear can’t grow if damaged. The symptom of hearing damage is the sounds become distorted of muffled. It will make hearing ability is decreased. 1. There are antibiotics to help reduce the damage of ear. 2. Remove the wax but do not use a cotton swab or sharp object. 3. Use an assistive listening device. These devices make certain sounds louder by bringing the sound directly to your ear. There are others devices that can help to give sensor to the brain. 4. Wear earplugs when involved in a loud activity. 5. Avoid hazardous noise in the environment. 6. Go to doctor and do medical examination. 7. Never insert foreign objects inside ear. It will cause damage to the ears. Once you start losing your hearing ability there is no way to recover noise sensing abilities. Protect your ear early before damage.